Is taking a time out from an argument when you or your loved one are worked up, a good idea? An author on a book about emotional intelligence believes emotionally intelligent people don’t walk away from conflict. 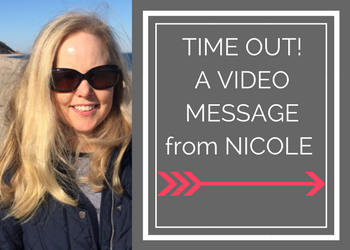 In this video message, I talk about what I believe is emotionally healthy when two people in a relationship are having a heated argument. What do you do when you are in this kind of situation? What are your thoughts about this?